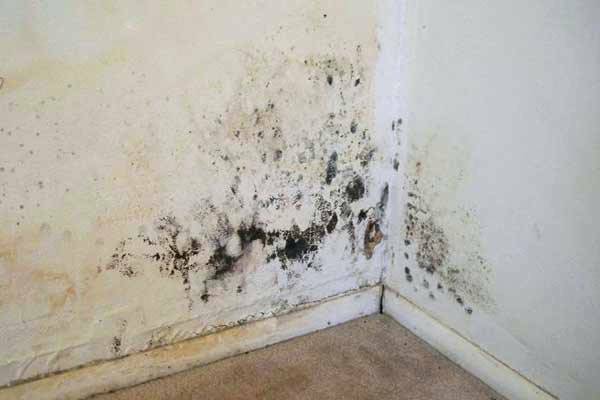 Problems with damp have been hitting the headlines across Leeds. There have been numerous news stories over recent months of families in social housing complaining of the “living nightmare” that can result, particularly for those with young children. However, a look beyond the sensationalist headlines shows that the Leeds damp epidemic does not just affect those who are living in difficult circumstances. Damp doesn’t care whether the householder is young or old, rich or poor, and damp proofing in Leeds is something that every resident needs to take seriously. The British climate comes in for a lot of stick, and Leeds certainly gets its fair share of rainfall. However, whatever the Yorkshire faithful in and around Headingley might try to tell you, it is not actually any wetter here than it is in neighbouring cities like Manchester, Sheffield or York. Clearly there is more going on here, and the biggest factor comes down to the type of architecture that is found throughout the city. Leeds is a city with a long and proud history – again, that is no different to other cities in the north of England. However, much more of that history has survived into the present day than you will see in places that have undergone major regeneration projects. Sheffield and Manchester are prime examples in this respect. A time traveller from the 1970s would barely recognise large parts of them today. In Leeds, however, far less has changed. The city really started to flourish in the mid 1800s, and this was the time when vast numbers of new houses were built. A comparatively large proportion of these have survived to the present day, while suburbs like Beeston feature architecture that predominantly dates from Victorian times. The simple truth is that Leeds has a far higher proportion of homes that were built 100 years ago or more than most cities. Back then, damp proofing and insulation were rudimentary at best and non-existent at worst. Is your home geared up to combat damp? Of course, the majority of those homes have had damp proofing retrofitted in the intervening years. The problem with this is that you always face something of a lottery. Was it done professionally and effectively? And how long ago was the damp proof fitted? Nothing lasts forever. You only know for certain that the damp proofing is lacking when you start to see a problem, and by the time it is obvious, the damp is always well set in. Of course, if you are in that situation, you need to call in expert assistance, to both eliminate the immediate problem and put measures in place to prevent a recurrence. But for anyone buying an older property in Leeds, or indeed anywhere else, it is a wise precaution to spend a little money up front on a detailed survey to identify any damp issues. That way, you can either walk away or price up the necessary works before the damp really gets a chance to take hold.